Do you remember where you were exactly ten years ago? Barack Obama has just defeated John McCain to win his first of two-terms as our 44th President. The United States was beginning to feel the effects of the Great Recession. On our radios, a hot new group out of Georgia was dominating the charts. This week in 2008, Zac Brown Band logged their first of two consecutive weeks at #1 with their debut single “Chicken Fried.” On the album’s chart, it was Taylor Swift’s just-released Fearless, logging its third consecutive week at #1, with no signs of slowing down. Welcome to the My Kind Of Country blog. Here, you will find reviews, editorials, and discussions about the country music we love – our kind of country. The idea is simple: rather than write lots of negative reviews about the new music that’s coming out – because let’s face it, much of what comes out of Nashville and your country radio dial is crap – we are going to write about the music we love. 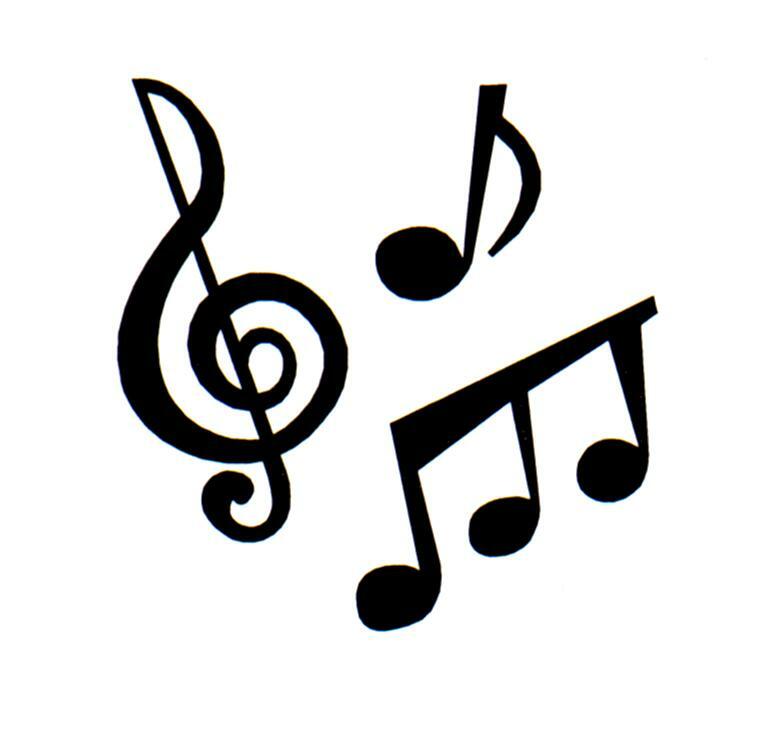 The music that moves us, drives us, and makes us laugh and cry; the music that touches us. Not that we will spend our time posting fangirl gushes about a select group of artists that are among our favorites. To the contrary, we intend to post about the music we love and tell you why we love it, and of course, how we think it could be improved upon. It’s been an ambitious mission from the start. Erik wrote our first album review, a glowing critique of LeAnn Rimes’ Family, on Dec. 10. Our first spotlight artist? Oh, that was Miss Leslie and her Juke-Jointers in January 2009. Through the years we’ve seen many writers retire their individual perspectives on country music, from our friends Erik, Rainbow, Chris Dean, Megan Morrow, and Razor X to our fearless leader himself, J.R. I won’t begin to assert I’m an historian on all things MKoC. I joined the team in June 2011 after I had become enamored with their Spotlight Artist coverage of Emmylou Harris in April. After reading a few of their reviews, I digitally downloaded her solo albums from the 1970s and composed a post on my own blog, entitled “New Artist Obsession: Emmylou Harris.” I had included a link to their coverage, which garnered the attention of J.R. and Razor X. I had no idea how impressed J.R. would be with my work, nor was I gunning for anyone’s attention. Shortly thereafter he sent me an email and asked me to join the team, an honor I accepted happily and excitedly. My first post was a single review for Julie Roberts’ “NASCAR Party” that ruffled a few feathers with her publicity team. I then contributed two single reviews to their Randy Travis coverage that month, among other reviews, and was off to the races. A while back, a friend had asked me if they could take a look at work on MKoC and even proceeded to print it out in order to read it (yes, I also thought that was strange). In doing so, he made a comment I’ve never forgotten. He said the blog had a really great title and I instantly knew what he meant. He didn’t say it, but he was referring to the idea that as a group of writers we’re each sharing the country music we love individually, writing pieces that reflect our love of the genre, not just getting assigned albums and singles we may or may not care enough about to compose a thoughtful post. I hadn’t looked at it that way, but he was correct in every sense of the word. I also often think about how hard it is to keep a blog going and just how many have come and gone in the ten years we’ve been alive. It’s easy for readers to overlook the fact that our positions as staff writers aren’t our full or even part-time jobs. MKoC is a labor of love we create out of passion for country music. It takes a village to keep a blog vital, which is why The 9513 and Country California have ceased publication. Engine 145 only ended once Juli Thanki received a prestigious position with The Tennessan, which has led to exciting opportunities for her in 2019. Ken Morton, Jr’s That Nashville Sound is still going strong and Country Universe is still around, after 14 years, albeit in an abbreviated form. 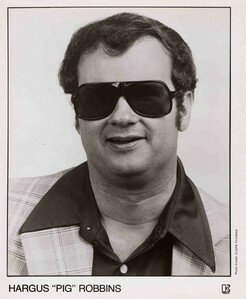 Little did J.R. realize in his inaugural post when he wrote: “much of what comes out of Nashville and your country radio dial is crap.” He never could’ve known the assault on the very ideals of commercial country music that was coming down the line with bro-country and whatever the heck you call what’s followed in its wake. It’s ironic, at least to me, that the peak years for country blogging have coincided with the continued release of literally the worst music our beloved genre has ever produced. At least we’ve learned there are alternatives and still some pretty awesome music being made if you know where to look. I know this post is long, but heck, you only celebrate your tenth anniversary once. We would not be here if it wasn’t for our continued passion for country music, but even more importantly, our readers. Thank you for continuing to make us and our writing a part of your lives. Please continue to comment and engage with us on our posts. We always love reading and responding to whatever you have to say. This is the first in an occasional series of reviews spotlight albums celebrating significant anniversaries. After the commercial failure of her eponymous debut, the execs at Mercury Nashville pushed Shania Twain to return to the studio and ready a second album. It was during this period between projects that her legendary affair with Robert John “Mutt” Lange began, with long-range telephone calls cumulating in their first face-to-face meeting at Fan Fair in 1993. The pair would marry at the end of that year. Treading lightly, Twain returned to Luke Lewis, her label president, with the confession she’d been writing with Lange. Lewis initially balked at the notion of a full-length collaboration, fearful Lange would move Twain too far away from what was considered commercially acceptable at the time. After hearing a demo of their work together, Lewis reluctantly agreed to hire Lange as the album’s producer. By January 1995, Twain hadn’t had a single at radio since “You Lay A Whole Lot of Love On Me” failed to chart sixteen-months earlier. 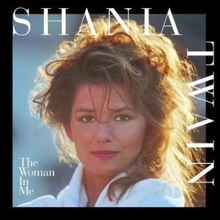 To introduce her new sound, Twain wanted “Any Man of Mine” to be the lead single from The Woman In Me. Mercury Nashville, much to Twain’s chagrin, went more conservative and released fiddle-heavy “Whose Bed Have Your Boots Been Under?” instead. The very clever tune, about a woman confronting her husband over his many infidelities, began at radio with a whimper. It wasn’t until The Woman In Me started selling, that radio finally took notice. By April, the track had reached #11. That same month, the trajectory of Twain’s career, and the sonic direction of country radio, changed forever. 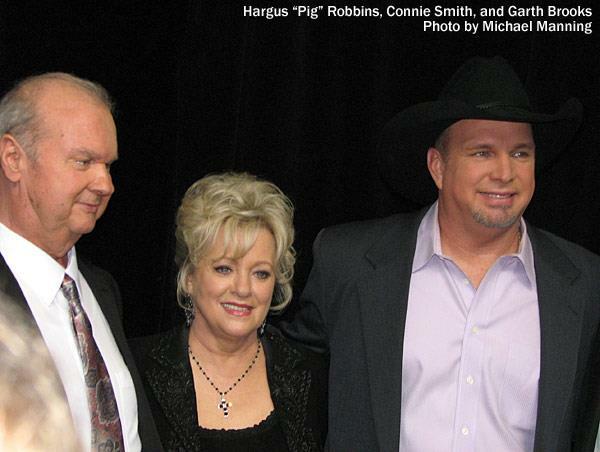 “Any Man of Mine,” the most significant radio offering since Randy Travis’ “On The Other Hand” ten years earlier, was unleashed upon the masses. Mixing elements of a backwoods hoedown with brazen signifiers of arena rock, “Any Man of Mine” was unlike anything country radio had ever heard – a fully formed artistic statement that melded genres without sacrificing integrity. It quickly rose to #1. The title track, a seductive ballad, impacted radio next. It was met with a cooler reception, peaking at #14 despite a gorgeous music video that had Twain gallivanting amongst the Egyptian Pyramids. Her next three singles were all radio smashes, with each hitting #1. “(If You’re Not In It For Love) I’m Outta Here!” and “You Win My Love” were expertly crafted slices of country-rock. “No One Needs To Know” was back-porch acoustic country at its commercial best. Hoping to finally strike with a ballad, “Home Ain’t Where His Heart Is (Anymore)” was selected next. It may’ve been the worst performing single from The Woman In Me (peaking at #28), but it was also the strongest lyrically and emotionally. With flourishes of steel guitar, Twain takes on the role of a woman reflecting on her husband’s behavior in their disintegrating marriage. They were once in love but bills, babies, and change broke him while she stayed home to keep what was left of their lives afloat. “God Bless The Child,” a minute-and-a-half long a capella prayer that was expanded into a full-length track for its music video was the eighth and final single. In a format known for the ten songs per album with just three singles formula, releasing eight songs to radio was virtually unprecedented. That left four of the album’s twelve tracks, which were also the most traditionally minded songs on The Woman In Me, as forgotten leftovers. “Is There Life After Love,” “Raining on Our Love,” and “Leaving Is The Only Way Out” mix steel guitar with lush strings and piano. “If It Don’t Take Two” remains one of the purest examples of a song that actually got the line dance craze right with a throwback honky-tonk arrangement that wouldn’t have been out of place just a few years earlier. In just five years, The Woman In Me sold a staggering twelve million copies in the United States alone. When fans bought the project, they were getting the single greatest example of a formula every female artist who came up in Twain’s wake has spent the last twenty years ruining. The Woman In Me is brilliant because Lange’s deceptive simplicity perfectly showcased Twain’s personality all the while keeping her wild abandonment in check. Even more astonishingly, you can make out each instrument and aren’t bombarded by noise and distortion. This is how you expertly meld rock, pop, and country together – cleanly and with adequate breathing space. There’s a reason no one, not even Twain herself, has been able to duplicate the magic of The Woman In Me – it cannot be done, even with all the right ingredients. Simply put, The Woman In Me is a record for the ages. In this age of digital downloading, the extended play (EP) album is making a comeback as a way for artists bubbling under to receive a showcase before the release of a full-length record. Columbia Nashville artist Bradley Gaskin is the latest to receive this treatment. Gaskin first became prominent in 2011 when the neotraditional “Mr. Bartender” established him, and his Travis Tritt-like vocal ability, as a promising new voice to hold up the traditions of country music. Even though “Mr. Bartender” is stone cold country down to the fiddle and steel guitar, it stopped short of adding a fresh perspective to the lore of drinking songs. The story of a man drowning his sorrows in the stiffest drink at a bar has been done countless times before. But that only slightly dampened it from sounding fresh and almost revelatory. “Mr. Bartender” reached a chart peak of #32, a small miracle for traditional country music. Decidedly more upbeat and radio friendly, second single “Diamonds Make Babies” seems like a better fit to launch Gaskin as a radio star. The slick production, somewhat mundane lyrical content, and writing credits from Jim Beavers, Lee Thomas Miller, and Chris Stapleton nicely position it for heavy rotation status. Problem is, the song centers around the idea that becoming a parent starts with an engagement ring, a pleasing idea to religious traditionalists that becomes trite and unimaginative when turned into a piece of music. No amount of country instrumentation or twangy vocals can elevate this; either by Gaskin or Dierks Bentley who has a version on his latest album Home. 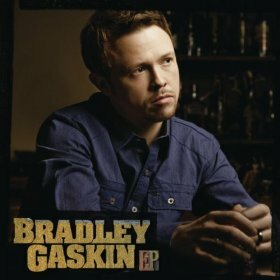 In addition to the singles, Bradley Gaskin EP offers two other glimpses into the artist. “I’m All About It” is a George Strait-like vanilla flavored ditty that manages to say nothing at all and take three minutes saying it. 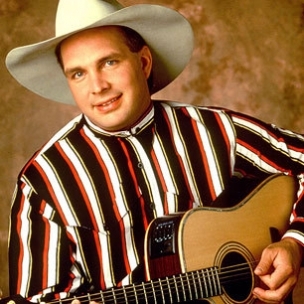 It fails on the account that it tries too hard to be country by employing a laundry list of overwrought cliches (beer, trucks, mud, buddies, lakes/rivers) that erase any authenticity and sincerity from the intent behind what he’s singing. In a shocking turnaround moment of actual good taste, the album closes on a high note, with a song that delivers as interesting a lyric as its title. “Satan Knew My Grandma Well” was originally done by The Grascals, (as “Satan and Grandma” on 2010’a The Famous Lefty Flynn’s) and both versions are very similar. Gaskins’s vocal brings a decidedly country element to the song and the story of a woman’s relationship with the patron saint of Hell, a metaphor for temptation, conjures up some great images despite a thin lyric sheet. Overall Bradley Gaskin EP finds an artist with an obvious affinity for tractional country music making needless concessions in an effort to fit in with the current marketplace. The arraignments for “Diamonds Make Babies” and “I’m All About It” scream country, but they cheapen the overall listening experience with their obvious pandering. And for someone with an above average to nearly remarkable voice, he shouldn’t be trying this hard to prove himself. His immense talent puts him in a class above most major label artists and this EP should’ve reflected that. In essence he’s better than the chosen material. “Mr. Bartender” introduced an artist acting as a clear alternative to the country/pop and country/rock of late; someone not afraid to return the steel guitar to its rightful prominence. But until he finds stronger and more impactful material, he’s a long way from a 21st century Randy Travis.